Free referrals to local Swing Bands. Easily find Swing Bands listings below or request quotes today. Sandy requested quotes for Swing Bands in Warwick , RI. Fohla requested a quote for Swing Bands in Parksville. bob just asked for prices in peabody, ma. Taylor wanted a quote for Swing Bands in Duluth, MN. chanda asked for a price quote for Swing Bands near bozeman montana. Anna wanted rates for an event in St Paul, MN. Richard just requested quotes in Winston- Salem . 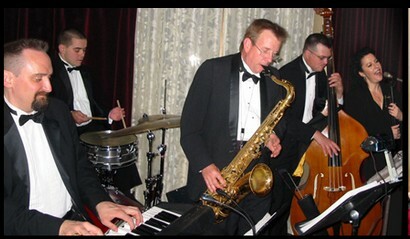 Colleen requested a quote for Swing Bands in Colchester, CT 06415. Rea just asked for prices near Saint Peter, MN 56082. Terri wanted a quote for close by Deale Maryland. Quick Quotes Right Now from Swing Bands!